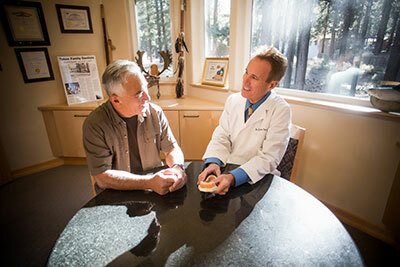 Children's Dentistry – Tahoe Family Dentists - Providing excellence in dentistry in South Lake Tahoe. 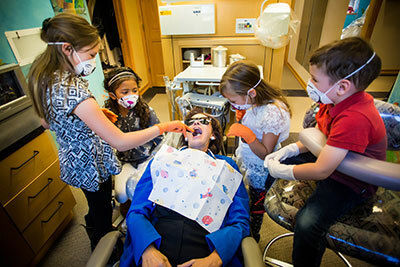 We strive to make every child feel safe and comfortable in the dental chair while teaching them good oral hygiene. Is it time for your child to be introduced to the dentist? Kids who start visiting the dentist early take better care of their teeth and gums throughout their lives. 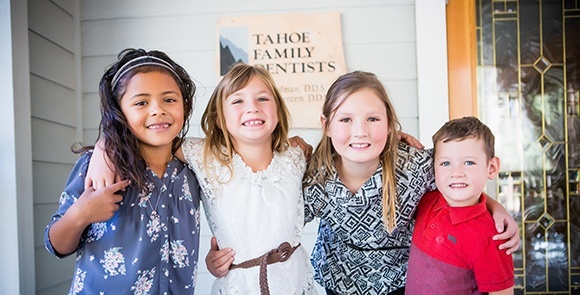 At our South Lake Tahoe dental office, we believe in laying a strong foundation of trust in order to instill great oral hygiene habits that will follow your child as they grow into adulthood. 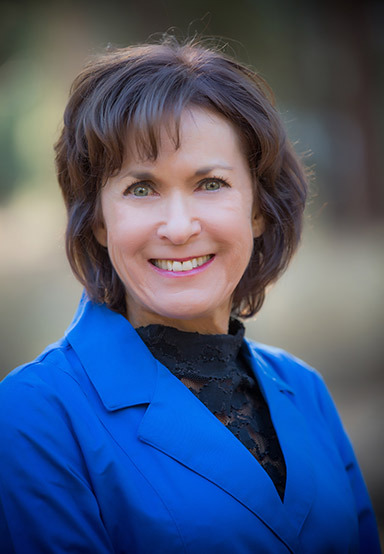 Your child’s first dental appointment should be fun and relaxed, Dr. Kaufman has a degree in child development in addition to her degree in dentistry, and strives to make every child feel safe and comfortable in the dental chair. A great dental appointment can shape the way your child views the dentist forever! We schedule a complimentary happy visit – including an office tour – to introduce young patients to the dental environment. This allows you to bring your child to visit the dentist’s office before they have an actual dental treatment appointment, so they can experience the environment in a non-invasive manner. They can be encouraged to explore the treatment room, ride in the chair, open their mouth for their teeth to be counted, and see the instruments used in dentistry without pressure. The subsequent visits will be relaxed and the child will trust the dentist and the team following a first visit which is positive, fun, and anxiety free. Once the routine of visiting the dentist is normalized, the appointments can be looked forward to! Sometimes a tooth may be knocked out ahead of schedule due to playing sports, engaging in other recreational activities, or simply due to a stumble or fall resulting in a blow to the mouth. If this happens, stay calm and follow these steps! Collect the fragment, if you can locate it (not mandatory). Come to the office (if severe, go to the hospital emergency room). Whether your child needs a general cleaning, an examination, orthodontic work or emergency dental care, we are happy to treat them with care and respect. Do You Need Children's Dentistry?